Real life breeds real experiences. Yet the studies that are discussed in laboratories, libraries and lecture theatres can feel removed from the social world outside. So, on our courses we actively encourage students to draw on their own life experiences. One such module, the Global Challenges Independent Project facilitates this through student-led research projects. Each student chooses their own project, negotiating the parameters and even the modes of assessment. Accordingly, each educational experience is unique to the student and tutor involved. Last year one student, Zoe Slattery, undertook a research project that demonstrated particularly well how students’ practical and academic aptitudes can develop in tandem. Before the Global Challenges Independent Project, Zoe studied another Global Challenges module, Design for Sustainable Development. In that module, students propose designs for local communities across the world and we partner with the NGO Engineers Without Borders UK to facilitate this. Zoe went on to intern for Engineers Without Borders UK and through them worked with a social enterprise called Prakti. 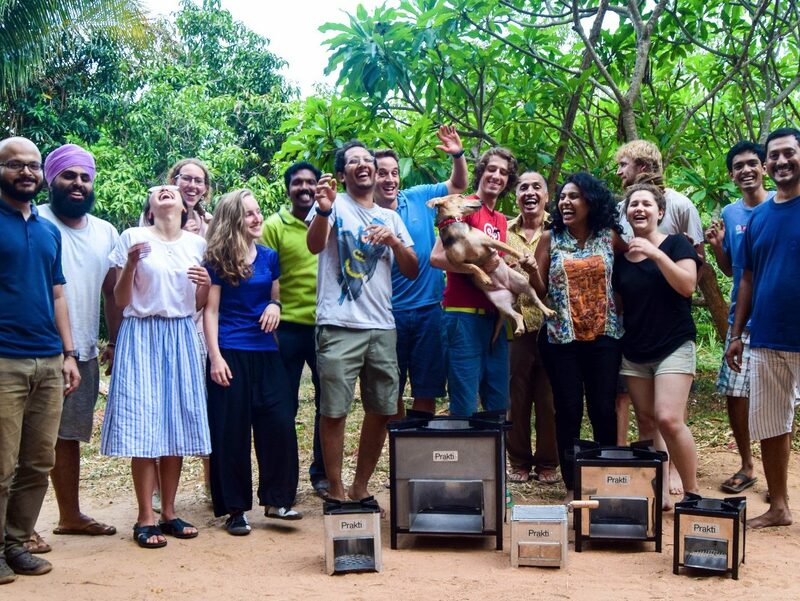 Prakti manufactures and distributes biomass cook stoves, with the goal of developing cleaner stoves through consultation with local communities. These experiences stimulated an interest in the impact of development projects and subsequently Zoe’s choice of topic for the Global Challenges Independent Project. Through the academic lens provided by the project, Zoe could take a step back and more rigorously evaluate practices surrounding development. Her project was titled ‘An investigation into the UK Government’s evaluation of the education foreign aid budget: a case study in Nigeria’. The research question alone indicated her strong desire to think critically on a higher, meta-level – by assessing the evaluation of development projects. And her project would ultimately be very highly praised by internal and external examiners. As a student, Zoe demonstrated elements of each of the three tenets of the ‘Live, Love, Learn’ approach to education: (i) by drawing on her rich experiences, (ii) by showing empathy and understanding of other people and cultures, and (iii) by developing independent and critical thinking. Indeed, it was rewarding tutoring Zoe’s project because she also engaged reflexively with feedback. Moreover, there was very little didactic teaching on the module and Zoe was central to the direction of the project and the issues discussed at every stage. For me, this underlines the importance of dialogue – and student-led dialogue at that – if students’ experiences are to be drawn on so successfully. During her project, there were challenges in judging what kind of claims could be substantiated in a project that considered such a broad social and economic issue. However, Zoe was open to adopting a more social-science based approach and her aptitude for it made it easy to maintain progress and a critical perspective throughout. Furthermore, industrial action prevented Zoe’s planned final assessment – that was going to be a conference style event for experts in the field. However, she adapted her plans and instead gave a presentation on the importance of analyzing failure in development projects. Again this was evidence of her combining her academic and practical experiences. She had witnessed NGOs using assessment of failures as a useful learning tool and applied that to her topic related to development aid. Zoe’s project is one to be championed, for which she deserves great credit. To me it exemplifies the potential of bringing together academic analysis and vocational practice. Teaching this module has underlined the importance of encouraging students to link what they do in our modules to their rich and varied lives outside.